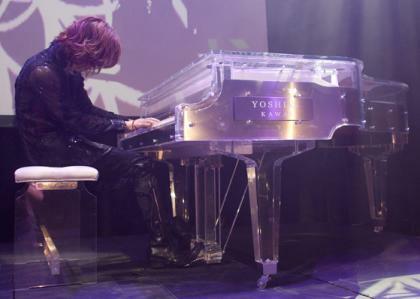 X JAPAN’s Yoshiki is going to auction off his custom made priceless crystal piano that he played for X JAPAN's concerts in Tokyo Dome. The Kawai piano is to be auctioned off to help people who were affected by the M9 earthquake that hit Northern Japan on March 11, 2011. It will be held by the Yoshiki Foundation America. 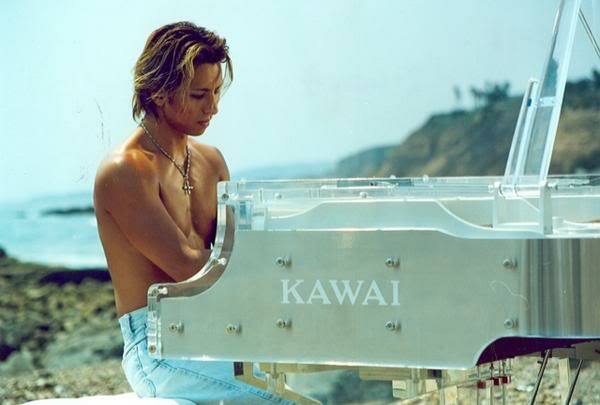 The Japanese-born Yoshiki, who lives in Los Angeles, felt the earthquake tremors while in a Tokyo recording studio working on X Japan's first North American album, and was shocked by the large-scale damage across Japan. "It took awhile to locate my mother, but she is, thankfully, OK, said Yoshiki. I am praying for the people here who are still trying to locate their family and friends. I've decided to help out through music." Yoshiki is also collecting donations through his American foundation, the Yoshiki Foundation America. lisaky777--Sep 27, 2010--X Japan performed the first North America Tour on 9-25-2010 at Wiltern Theatre, Los Angeles, CA, USA. This is #19 song, "Art of Life" from 11:27 pm. X Japan has decided to postpone the release of their first U.S. single, "Jade," that had been scheduled to be released on March 15, 2011, so that they may focus their time and energies on helping with the recovery. They might hold charity concerts in near future. I will enjoy the above video clip until the new CD "JADE" is released. This organization is also sending volunteers to help victims in Northern Japan. My friend's cousin is going to Miyagi, Japan, where there were massive earthquake and Tsunami damages. They are collecting donations from $10. 100% of the proceed will go to the victims.